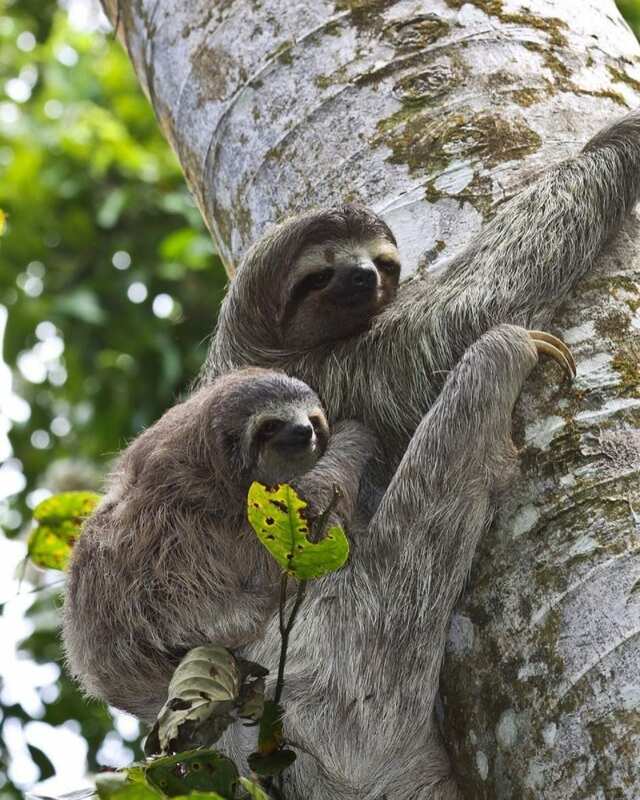 Sloths are a one of a kind animal in the animal kingdom. 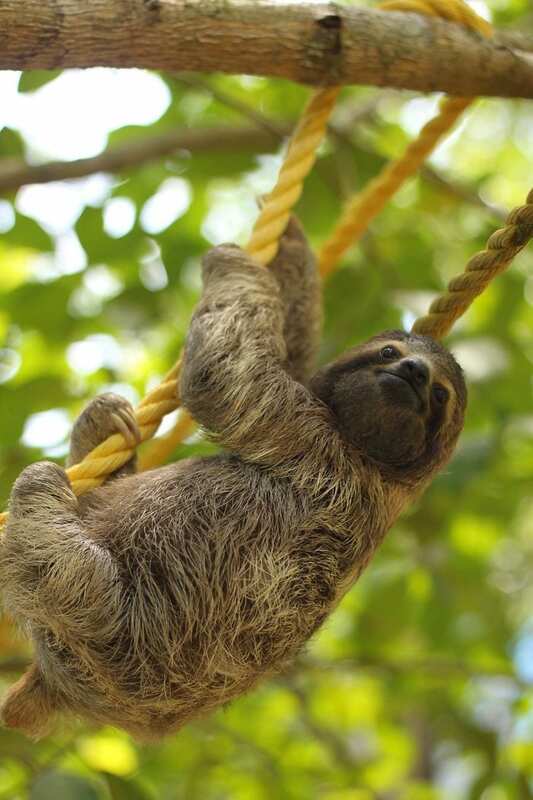 Although they are one of the slowest animals, they are also one of the most undeniably adorable animals. 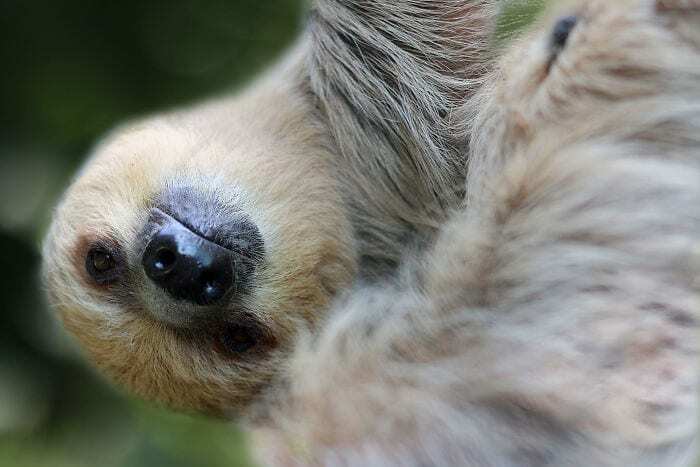 With their captivating eyes and endearing demeanor, it’s no wonder why sloths are one of the most favored animals on the internet. 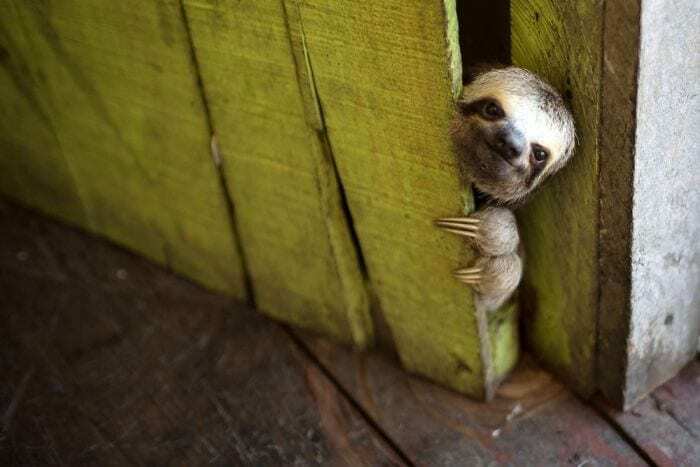 We’re sharing 50 irresistible images of sloths that are sure to make you smile. 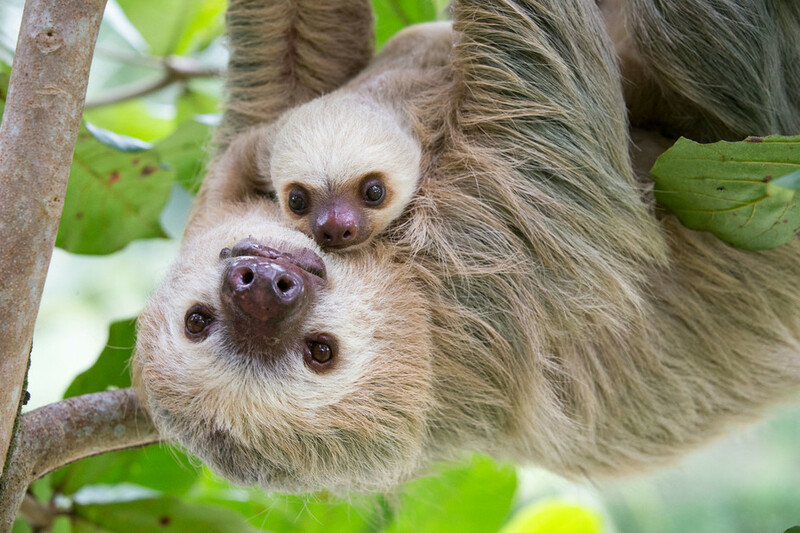 Wherever you are, take a moment to check out this darling slideshow — you won’t regret it! Stay close to those you love. 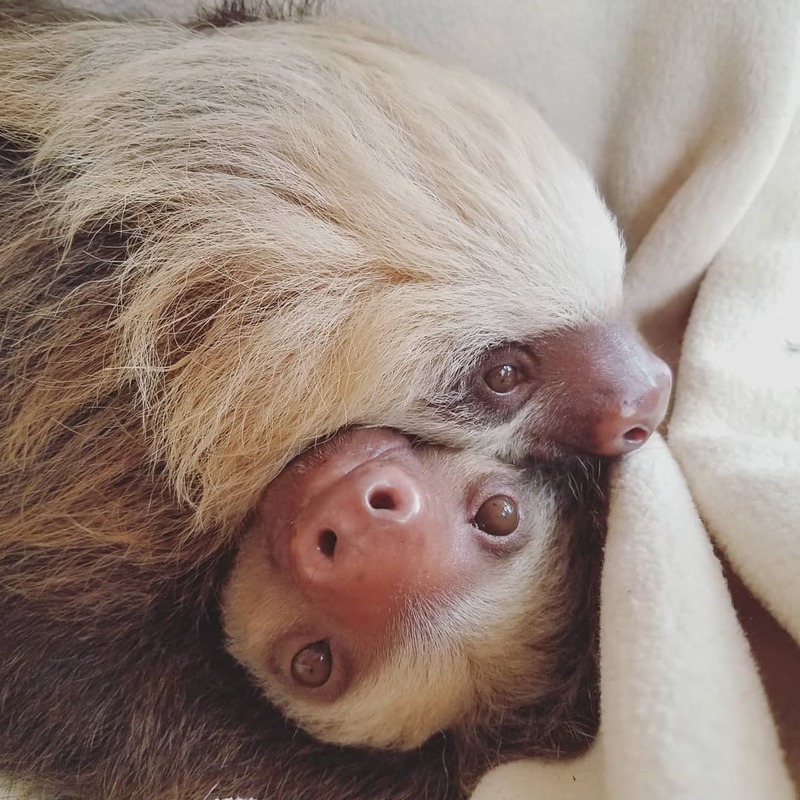 These precious sloths adore one another, holding each other closely. Did someone say nap time? 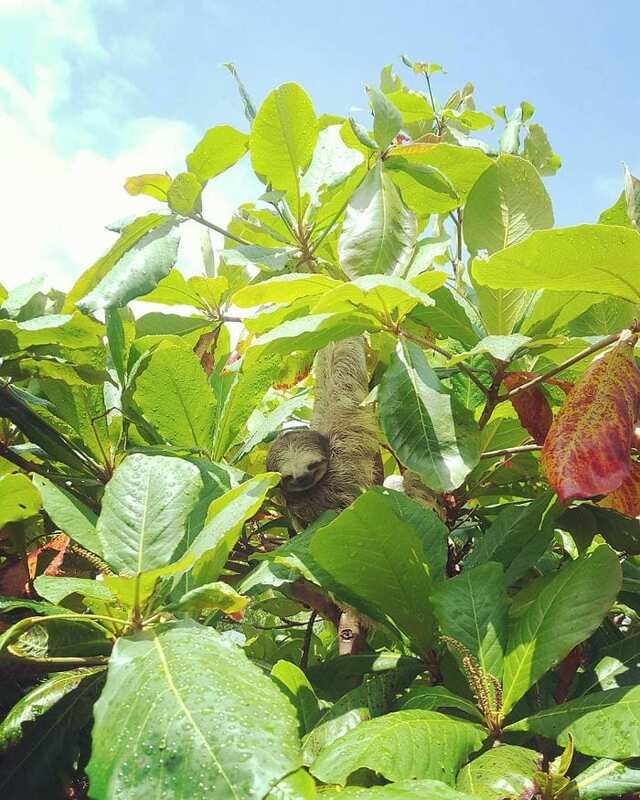 This angelic sloth is resting on a tree, taking an afternoon snooze. 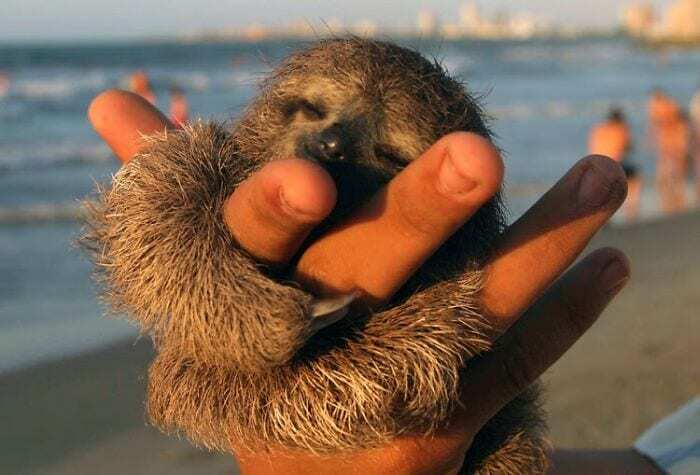 Giving handheld a whole new meaning, this tiny sloth fits comfortably in the palm of one’s hand. 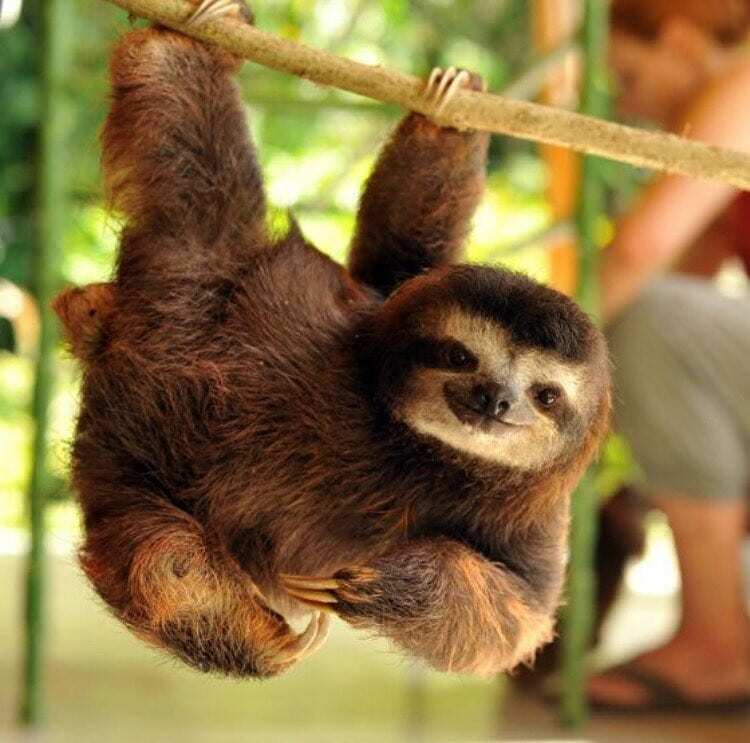 Looking absolutely content, I don’t think this sloth will be going anywhere. Life is about making the most out of every moment. 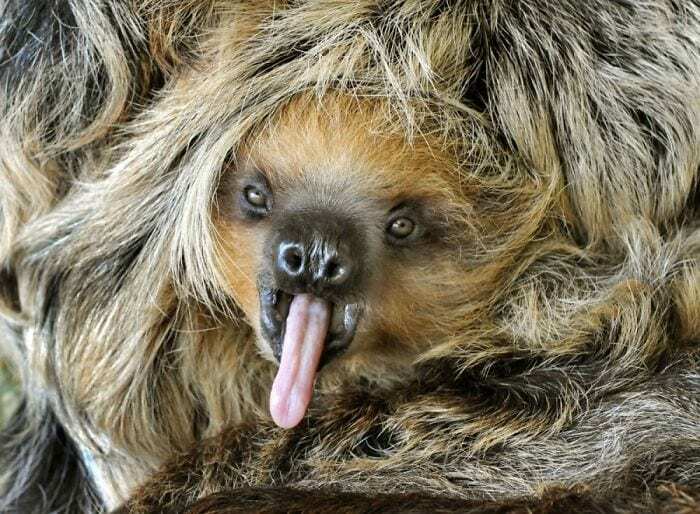 And this sloth seems to be doing just that! Sit back, relax, and enjoy the ride. Boo! 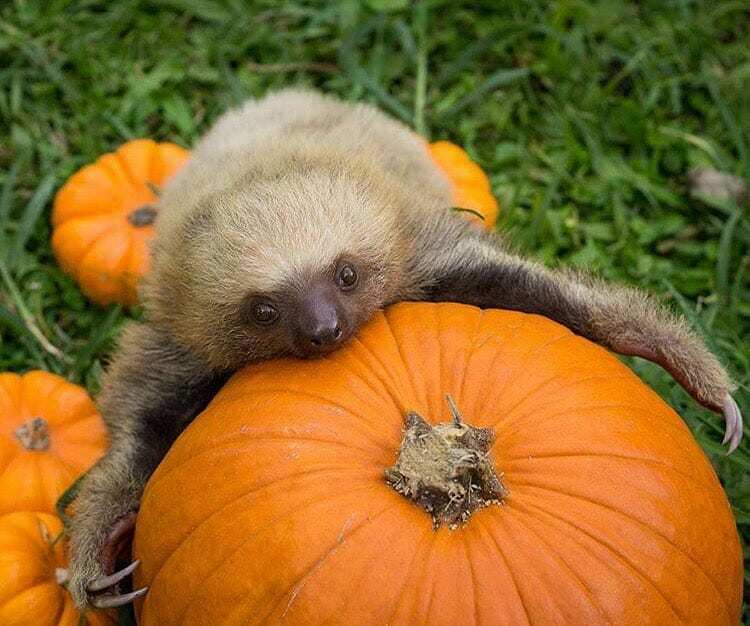 Enjoying a day at the pumpkin patch, this sloth is ready for Halloween festivities. Plus, the adorable sloth doesn’t mind being outsized by the large pumpkin. 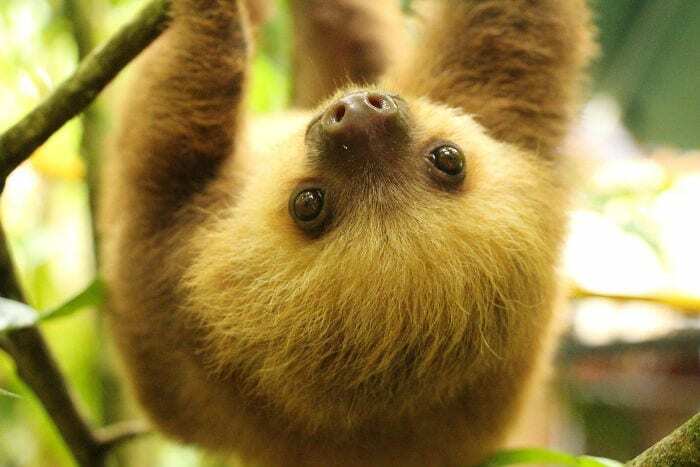 Eyes are the window to the soul, and this sweet sloth has eyes that are undeniably charming. Don’t bark up the wrong tree! 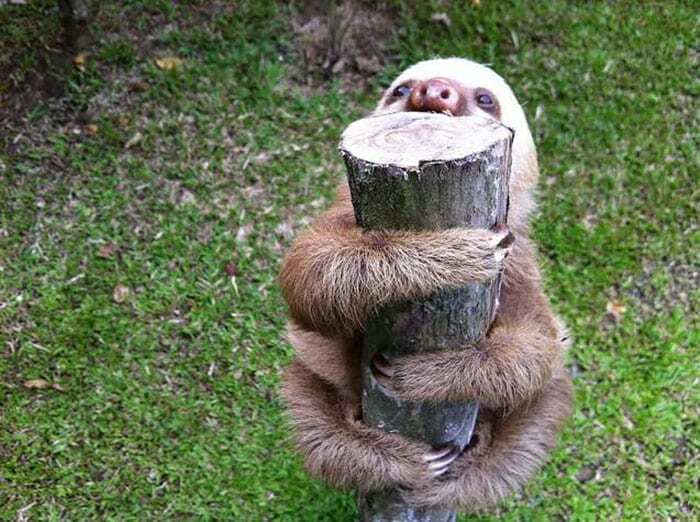 This tree -hugging sloth is holding on tight to his favorite tree, possibly never letting go. Don’t worry, I’ve got your back! This pair is as sweet as can be, taking care of one another in this crazy journey called life. Vacation ready! 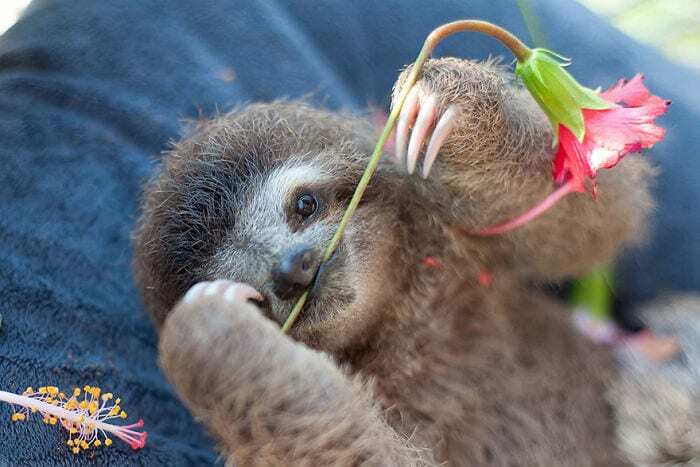 This sloth is ready to hit the Hawaiian Islands posing alongside this radiant flower. We can all do the “airplane” move, but doing it upside down while hanging off a branch is another story. 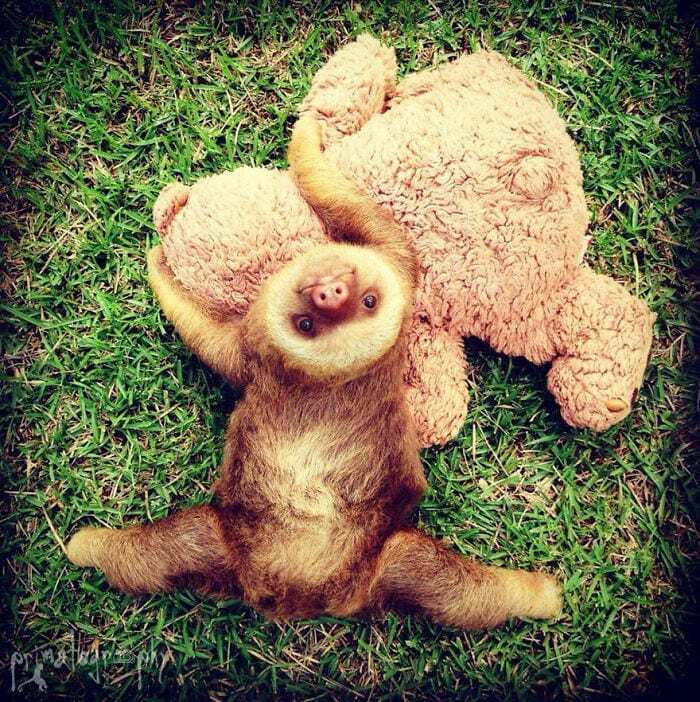 This adorable sloth is doing just that, while making it look effortlessly fun! Snuggle time is the best time! 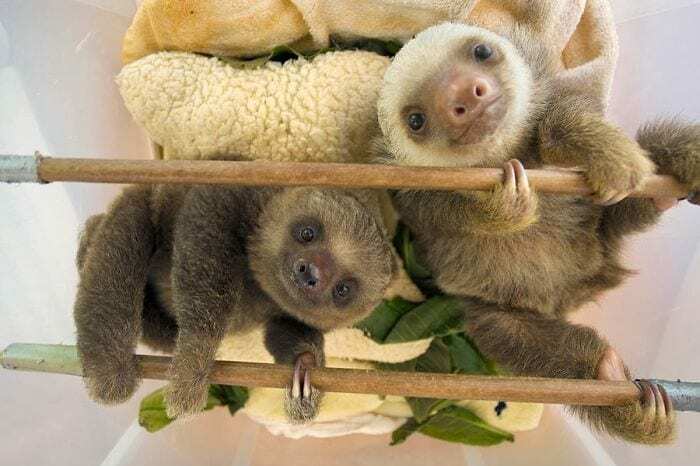 These snuggling sloths are undeniably adorable. There’s nothing better than hanging out on a summer day, literally and figuratively. Smiling really is contagious. Smile in the face of adversity, and you can take on anything! Sometimes you just have to let loose! 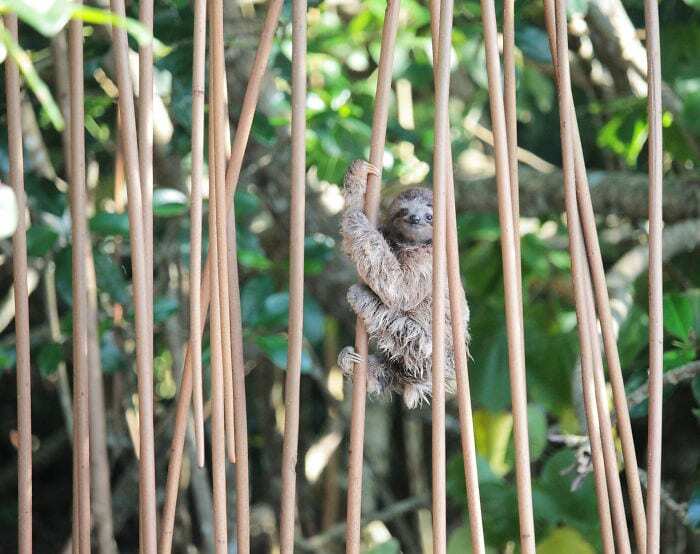 This silly sloth knows how to have fun and make us all laugh out loud. Sundays are a day of rest. 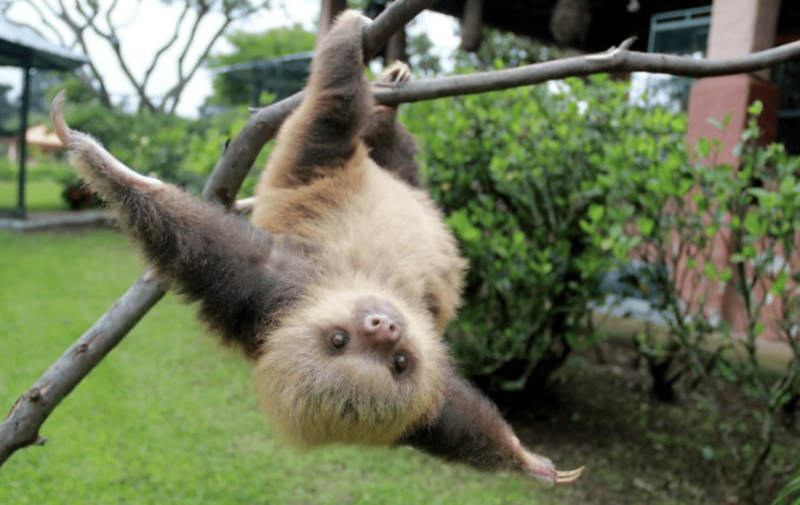 And there’s no doubt that this sloth knows a thing or two about enjoying downtime. Teatime anyone? 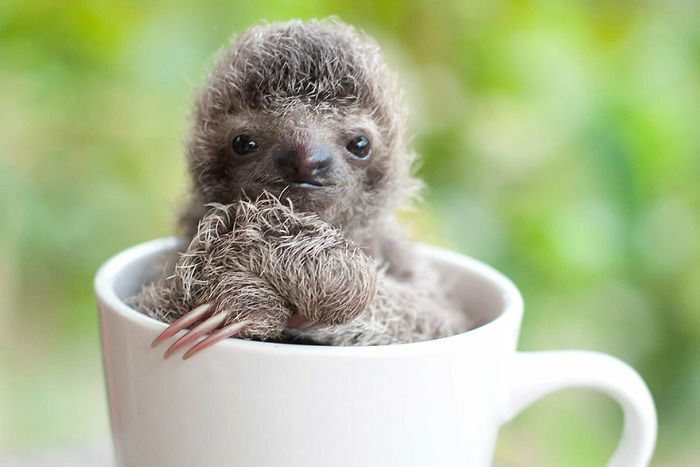 Petite and sweet, this sloth can fit perfectly inside a porcelain teacup. Cue Sheryl Crow’s infamous song, “Soak Up The Sun,” for this delightful photo. 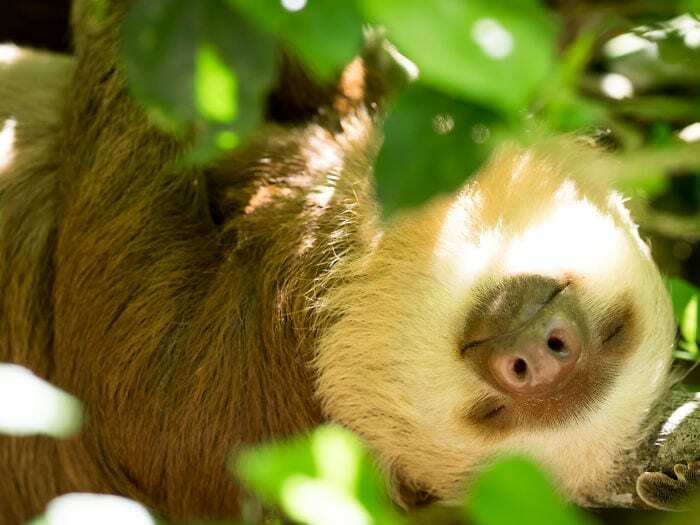 This sloth is enjoying the sunshine, and soaking up every moment. Did someone say cake? 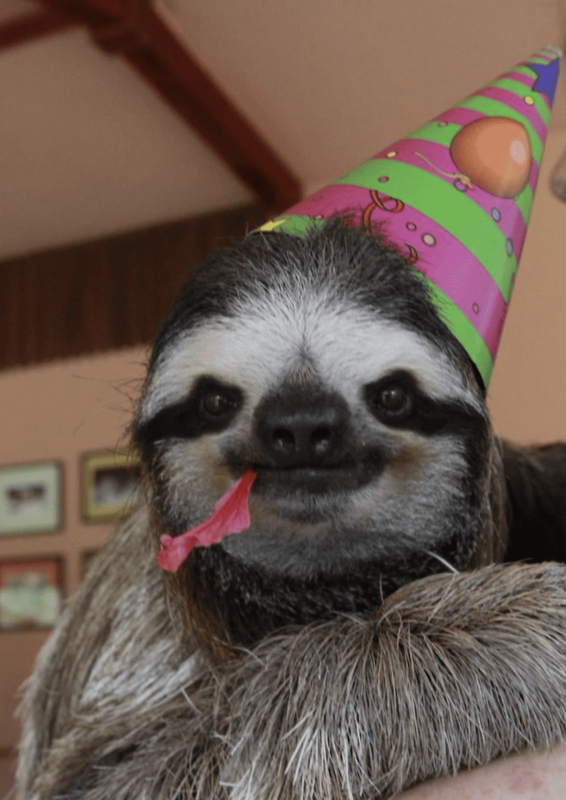 This sloth is the life of the party and, undoubtedly, ready to get the party started! Autumn has arrived! Time for changing leaves, pumpkin spice lattes, and sloths? Why not! 20) Is it lunchtime yet? Lunchtime is always a great time. And this sloth is ready to chow down! This adorable duo look like two peas in a pod. So sweet! 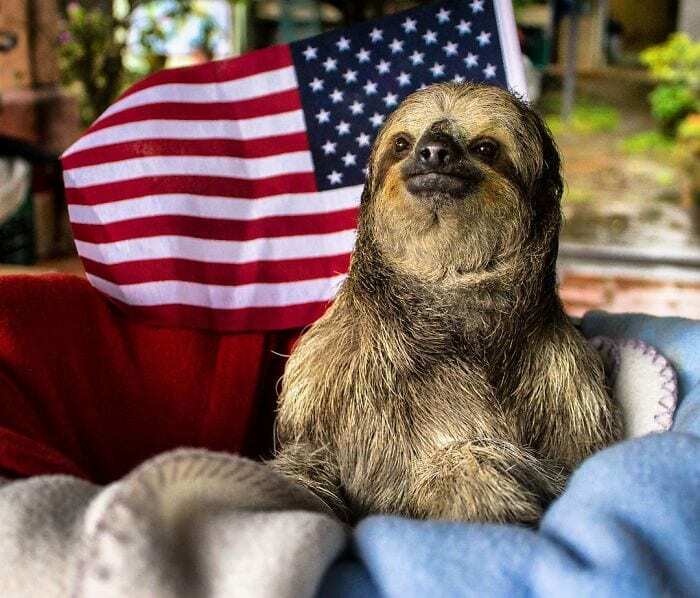 This patriotic sloth stands dignified next to the American flag. He must be quite proud of his country! Happy as can be, this sloth is enjoying the good life. Love is beautiful. 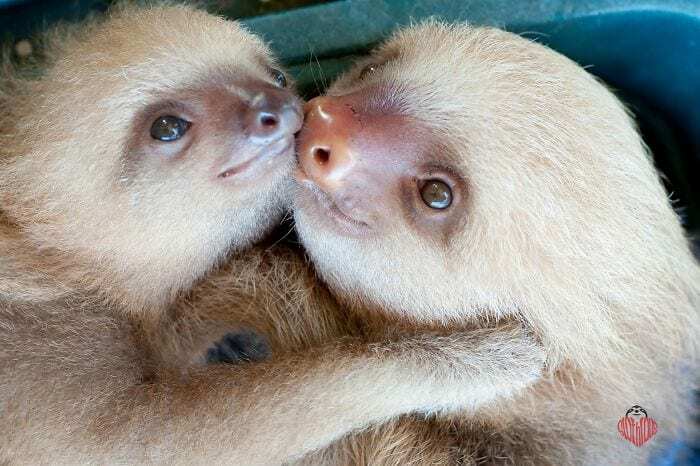 And these two sloths are clearly not afraid to express their love and affection for one another. Don’t forget to eat your greens! 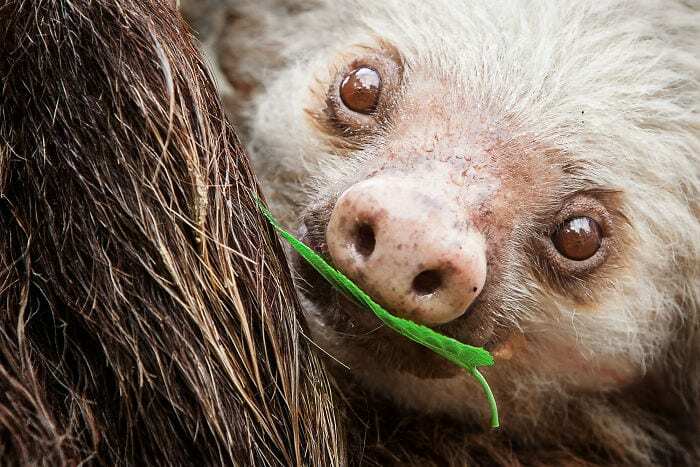 Follow this adorable sloth, who is conscious of his diet. Absolutely irresistible! 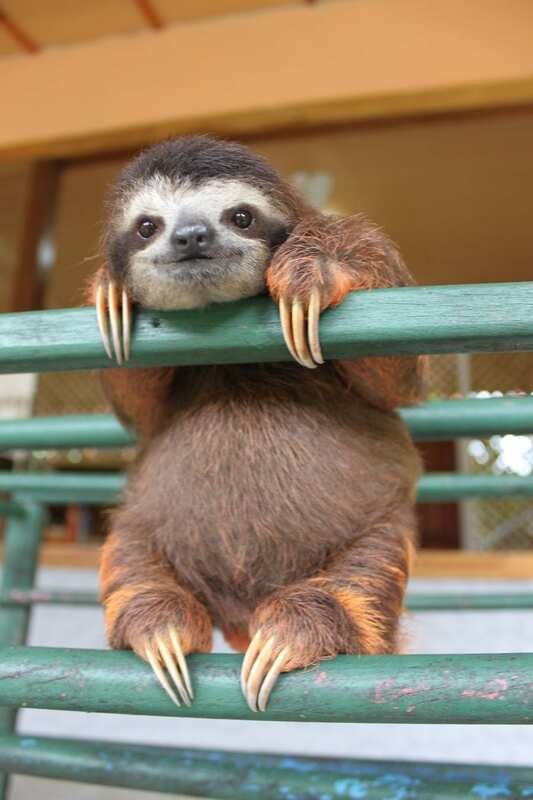 Hanging on the ledge, this sloth’s endearing smile is just too cute. Surprise! 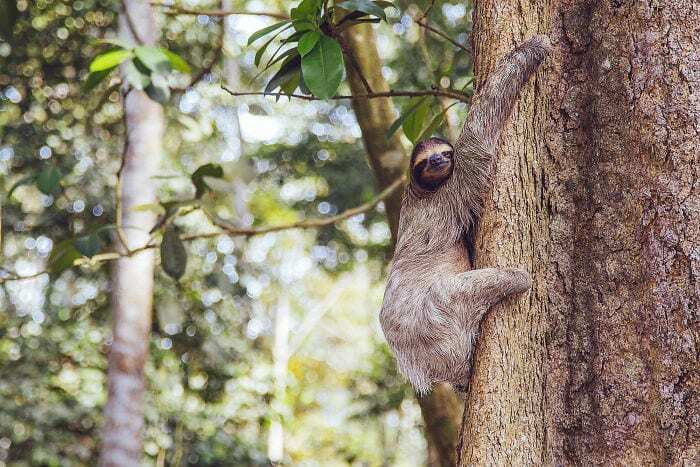 Stay on your toes, you never know what may be right around the corner — including a sloth. Dinner is served! 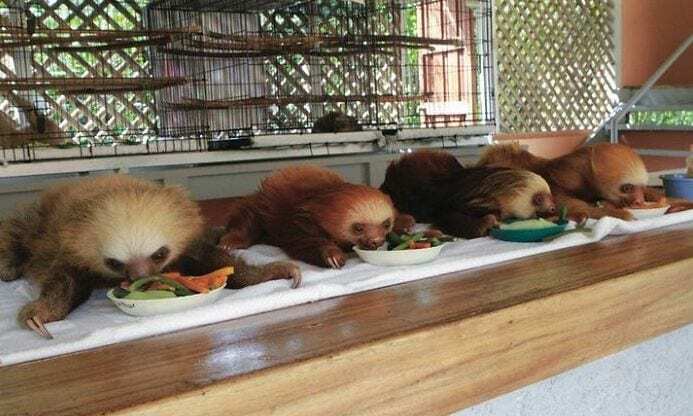 These hungry sloths are most definitely ready to eat. Life is about enjoying the present moment. 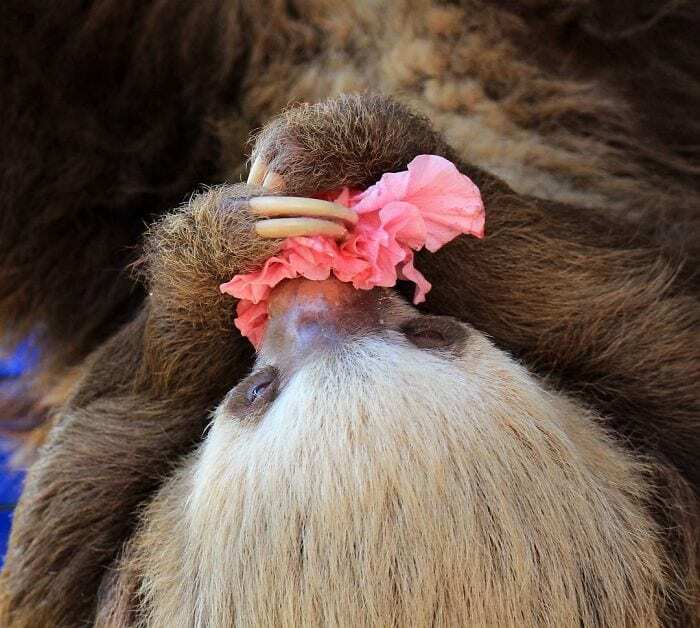 This sloth is doing just that, setting an example for all of us. Sit back and relax! 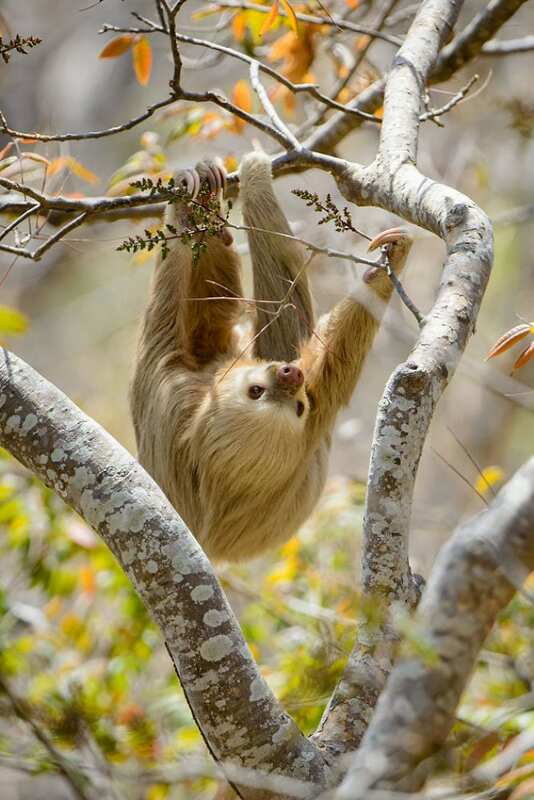 This sloth is enjoying an interesting view from below. 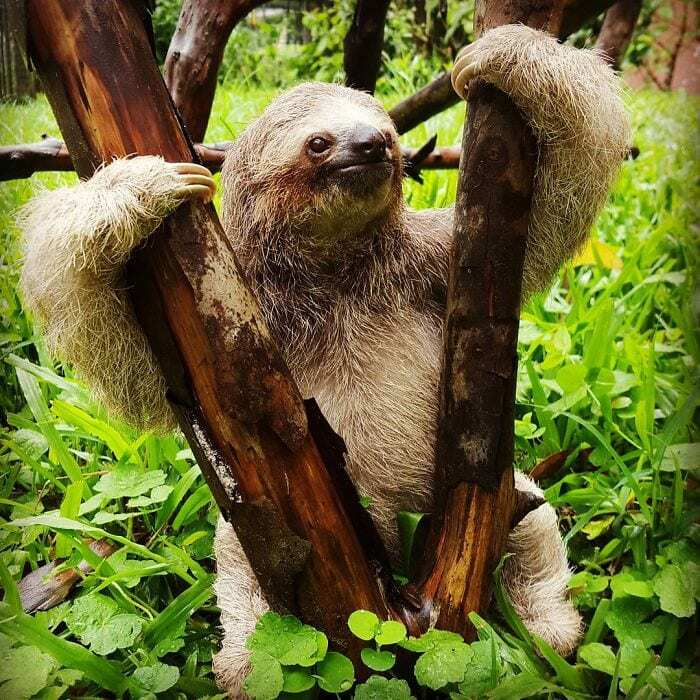 Posing for a photoshoot, this confident sloth is ready to be on the cover of Vogue Magazine. Remember, you must know your angles. 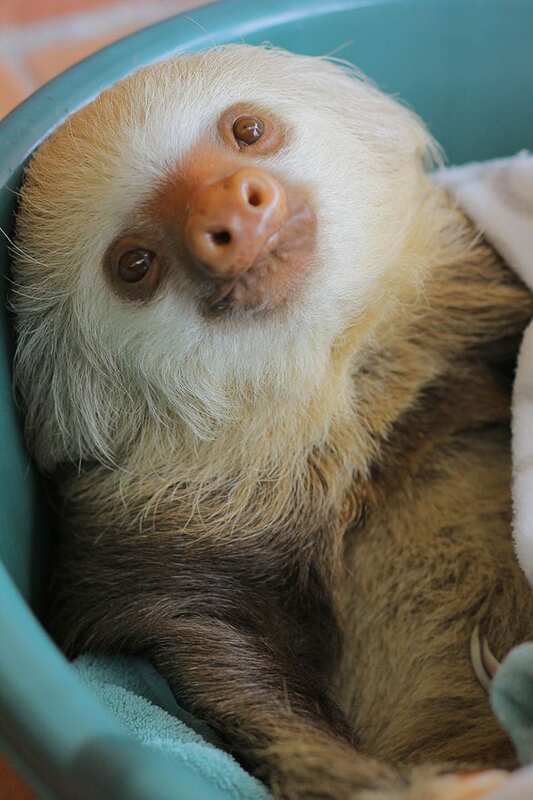 Just waking up, this sloth is ready to take on the day. 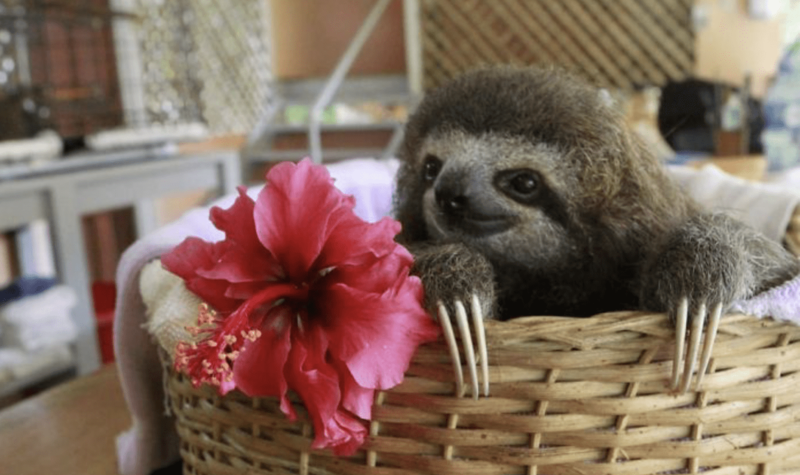 Chivalry clearly isn’t dead, and this sloth is here to prove it. 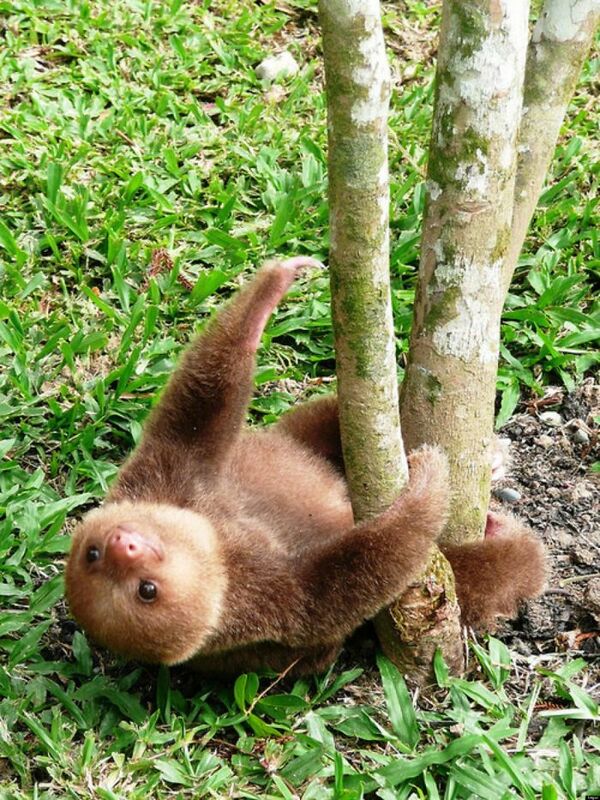 Holding on tight, this sloth seems to be enjoying its natural habitat. Breathe in, breathe out. 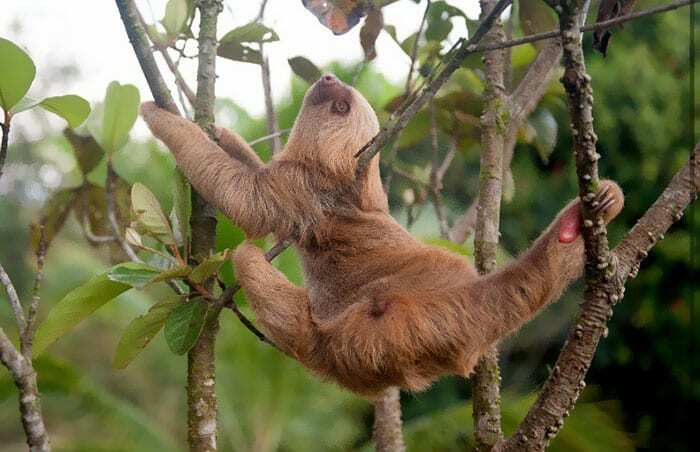 This sloth knows a thing or two about mindfulness as it practices yoga, posing in an astonishing split. 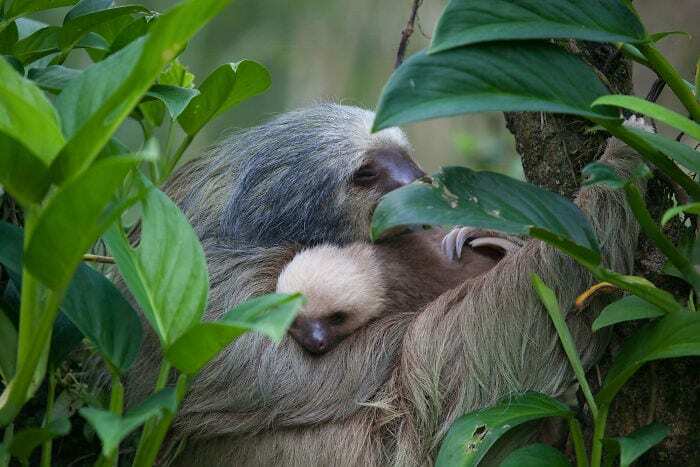 We all need a friend, and this little sloth has found a fluffy friend of its own! 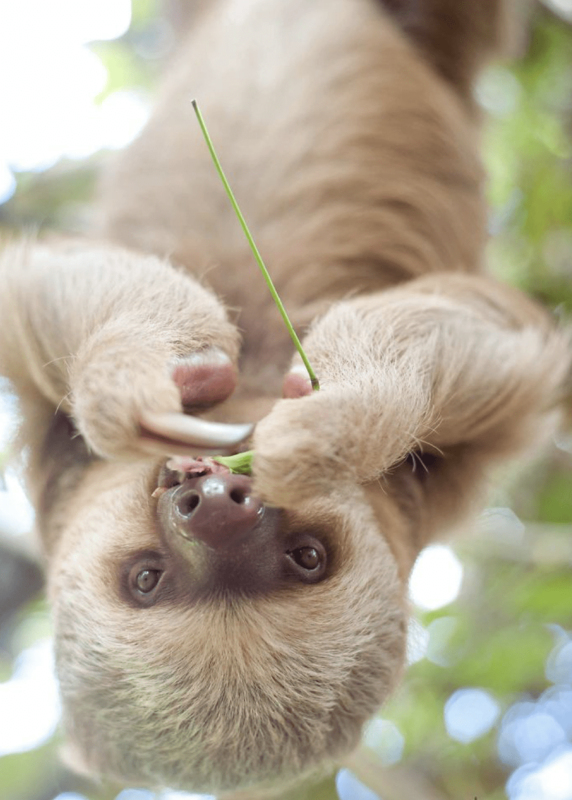 Upside down but never a frown, this dear sloth is quite adorable. There’s nothing more cherished than the bond between parent and child. This pair demonstrate the importance of family and unconditional love. 39) Can I help you? 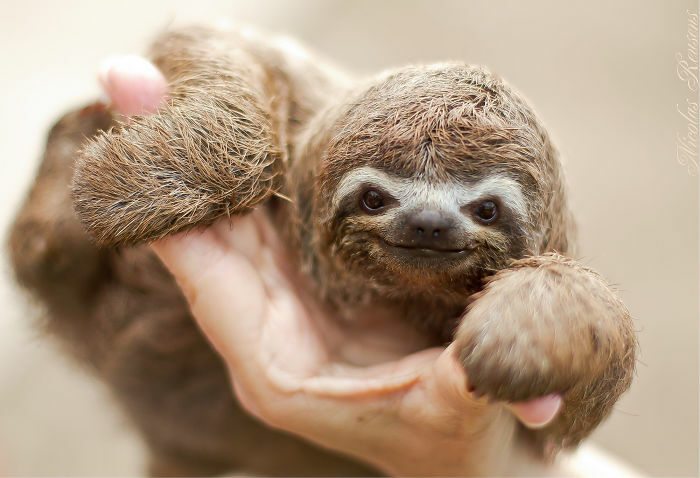 Here to help, this friendly sloth appears kind and approachable.